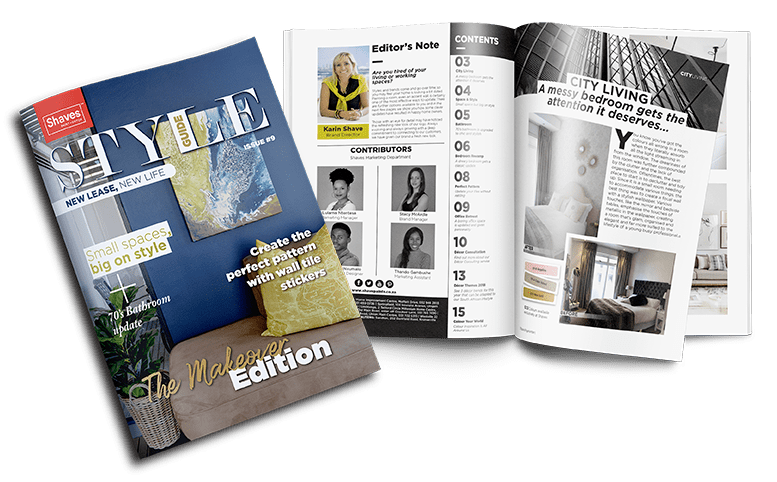 Whether you are redecorating, renovating or simply want to know the latest trends, subscribe to our Shave Style Guide and have it delivered to your inbox. You are also welcome to collect a free printed copy in-store. In this makeover edition Style Guide, we show you how some clever updates have resulted in happy home owners. Click the red button to download your FREE copy.